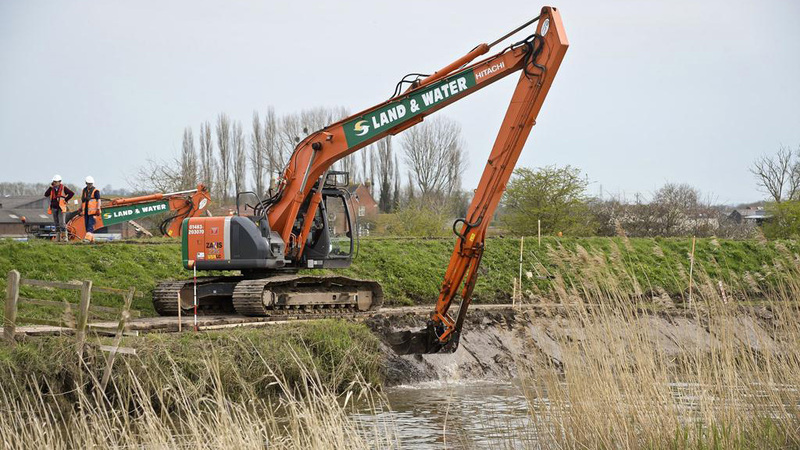 Farmers say they are ‘cynical’ dredging work being carried out on the Somerset Levels will be enough to prevent a repeat of the crisis next year. Farmers and landowners – many still refugees from their own homes or living with damp – say not enough progress is being made by the Environment Agency (EA). Although the EA maintains the work will be completed by the end of October deadline, many feel it will be ‘this time next year’ before the work is done. Somerset Levels livestock farmer James Small said: “They [the EA] are way behind on the target of where they said they would be by now. People on the ground are upset that the work is not progressing as fast as was expected. John Hebditch, who also farms on the Levels, said it was ‘doubtful’ the amount of dredging being carried out on the Rivers Tone and Parrett would be enough to protect the local community next winter and questioned whether the dredging targets set by the EA were high enough. “It won’t stop all the fields flooding but it will protect the communities and roads a lot of the fields,” he said. “But they have got to get on and do it. “A lot of people are saying that because the EA said a lack of dredging was not to blame, they are making sure it is not going to work. Mr Hebditch said local EA officers had admitted they were currently behind schedule, adding progress had been hampered by planning regulations surrounding the dumped waste. He said many farmers in the area were left questioning the future of their businesses. “It’s disheartening that we can’t even contemplate reseeding an area because we’re unsure if the same thing will happen next year,” added Mr Hebditch. “Farmers at the market are saying ‘what is the point when they EA just lets it all flood’”. Peter Riley of the Farming Community Network said it was understandable many farmers were considering ‘pulling out of farming altogether’. It comes after the charity warned suicide rates among farmers in the South West could spiral as many grapple with crippling debts. An EA spokesman said contractors were on track to complete the dredging on schedule. “By late June/early July we will have six teams working at various locations over the 8km stretch,” he said.